Whatever was I thinking when I thought California is small like a province? It isn’t. In fact, the state is so big and rich in resources – from farm produce to brilliant talents – that it can survive on its own. It’s even bigger than the Philippines. One of the state’s gift is wine. Napa, located in the north of California, is the famous county for wine tasting, but another is Sonoma. One weekend, a college friend and her husband kindly picked me up from Berkeley and took me to San Francisco, Vallejo, and Sonoma for an overnight break from stressful schooldays and for a tour of places they love. The highlight of the trip was the wine tasting. This is how it goes: wine tasters pick a name from a list and the staff will pour wine, about a centimeter high or more, to one’s glass. If the palate does not agree with the taste, there is a small metal bucket for throwing away the vino. The passionate staff at Jacuzzi Winery recommended going from dry and light to more intense ones. If one is up for it, he or she can taste everything on the list. Sheila and I had around ten glasses maybe, which included chardonnay, white wine, and the fantastic chocolate shot. This shot is called such because the wine is poured into a chocolate molded into a shot glass – after which one eats the choc. 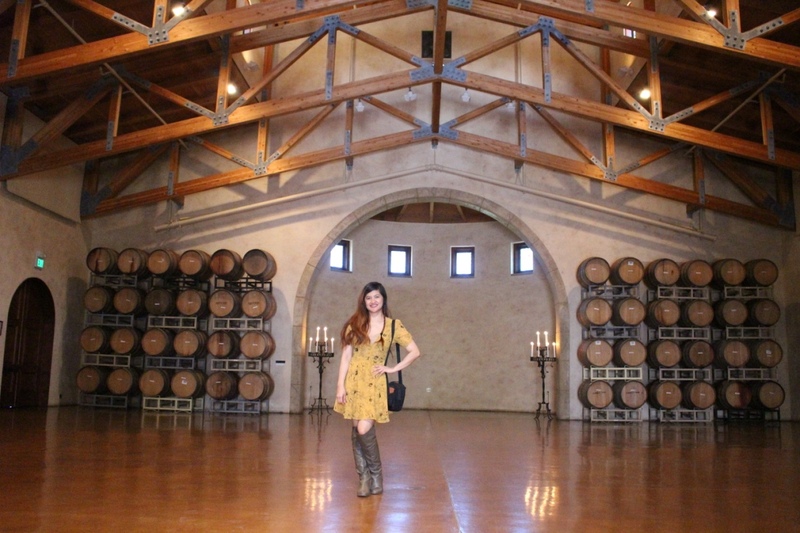 After the tasting, she bought five bottles – a part of the wine-tasting package. Across the street was another winery and we had another round and tried the fruity ones, but it came to a point when I could no longer tell one from another, as I started to feel tipsy. Sheila, too. The couple bought another set of bottles again and they drove me back to Berkeley. 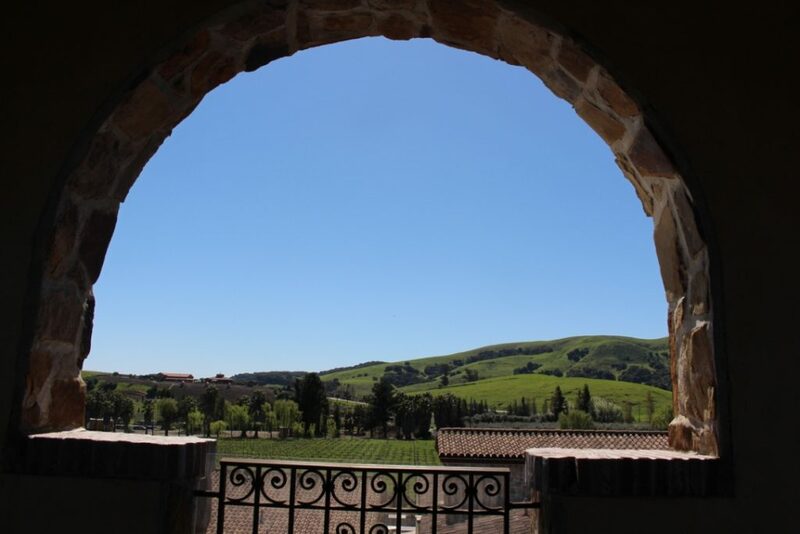 It was a great experience even for a non-expert on wine, and relaxing to look at are the vineyards – rows of grape vines in hectares of lands illuminated by the California sun. Another weekend, another former classmate – this time from high school – picked me up in Berkeley to do wine-tasting in Napa. Joy took me to Beringer and Sterling, two places as grandiose as Jacuzzi. While Beringer looks like a 19th century European mansion, Sterling is like a Mediterranean complex on top of a hill and it is accessible through 3-5 minute gondola rides crossing an expanse of greenery and pond. 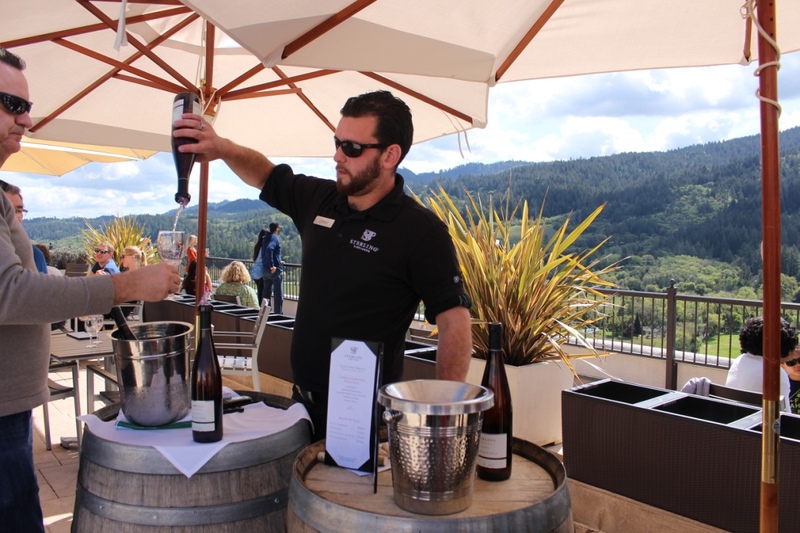 Sterling is different from the rest of what we visited too because it’s a “walking wine-tasting” kind of experience so you get your fill in various stations and walk around the museum-like corridors, patios, facilities, and terrace overlooking Napa. My classmate, a designer who has worked for the global brand Treasury Wine Estates, knows someone who could give her an access to a Silver Plus experience. We chose to be seated outside, at the veranda overlooking pine trees bathed in sunshine. A man gave us three wine glasses each and presented us with 2014 Oak Knoll Chardonnay, 2012 Winemakers Select Red Blend, and 2012 Diamond Mountain Cabernet Sauvignon, with corresponding cheeses. I have to admit that I am more of a beer drinker in the Philippines than wine drinker, but the wine-cheese pairing was such a pleasure that my unsophisticated palate yearns for more.